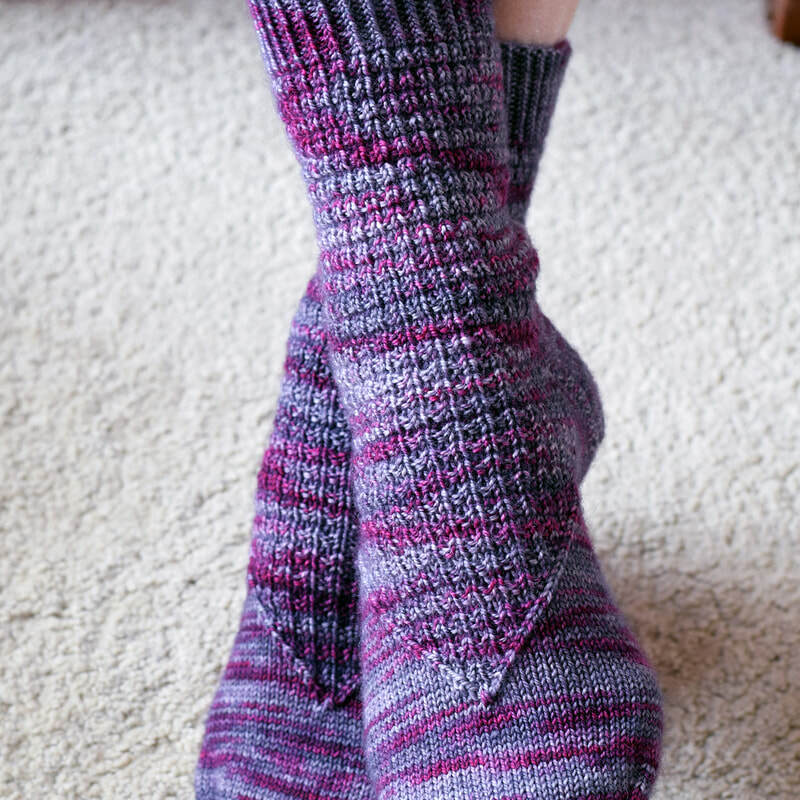 Longing for a haven from the frenetic pace of life is the inspiration behind these cosy socks. Knit in the round and cuff down, these socks begin with a twisted rib cuff that balances the linear appearance of the rib-based texture, before gently developing into the triangular shape on the instep. Woodmere Fingerless Mitts and Woodmere Slouchy Hat.